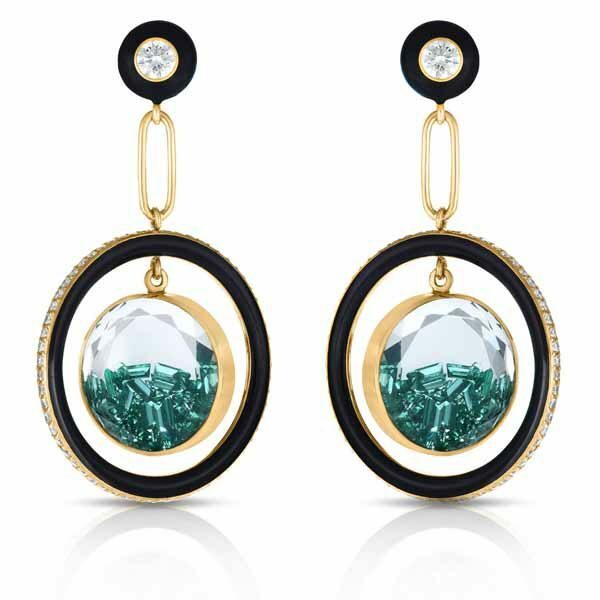 I was searching for enamel jewelry on Instagram (for this blog post) when I came across a gorgeous pair of earrings by Moritz Glik. 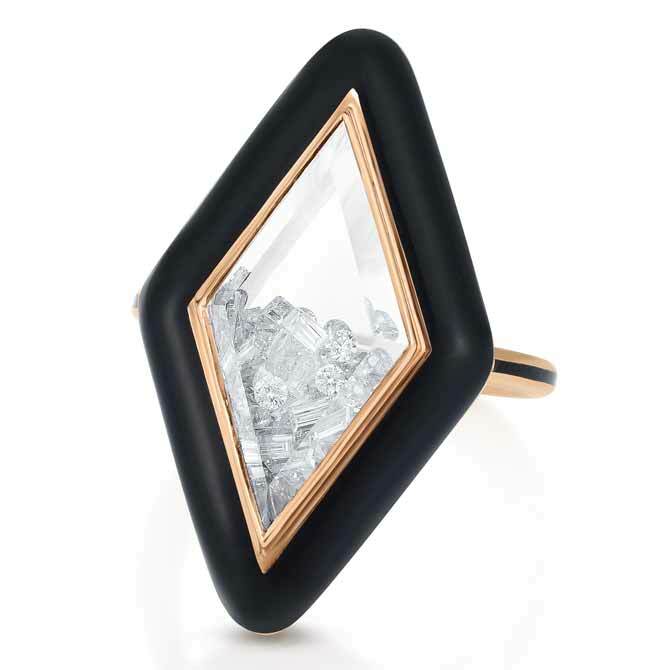 The style incorporated the designer’s signature Kaleidoscope shaker style—loose gemstones enclosed in a white sapphire crystal case—but something more caught my eye. 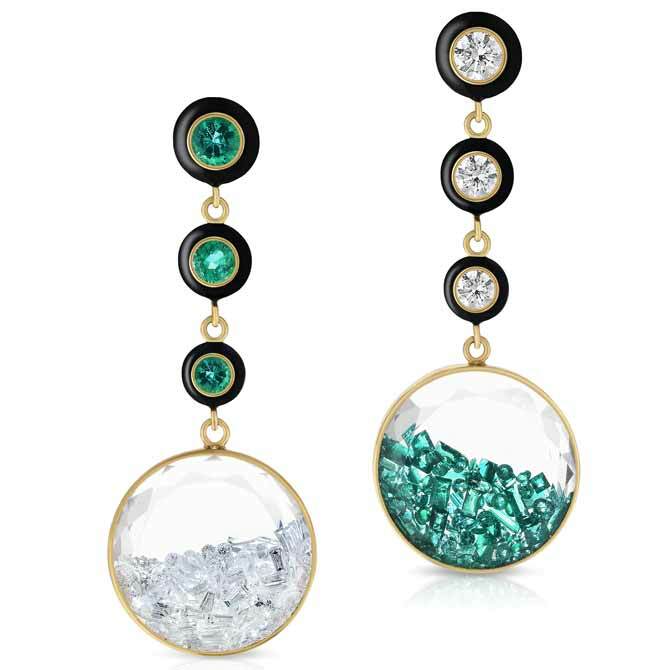 A picture of those earrings is shown above: 18k yellow gold setting, gorgeous green emeralds (a little more than 2.5 cts. of them), an outer ring of diamonds. Sure, the emeralds glow just fine on their own, but the extra addition that makes them pop? Black enamel. 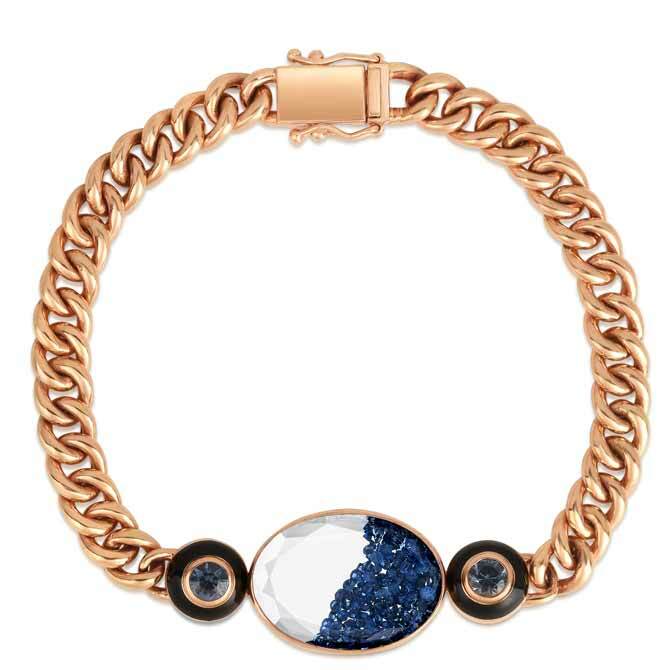 This is Glik’s Apollo collection: By layering pieces in black and white enamel, the New York City-based designer gives contrast to his dancing gemstones, making them pop more than ever before. 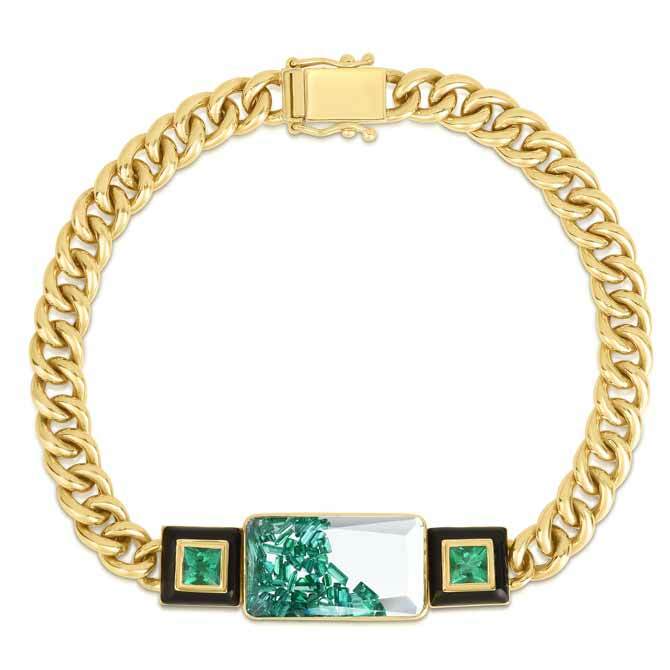 The styles “naturally evoke a 1920’s Art Deco feel,” according to a press release about the collection, and it’s true: While the pieces may otherwise be modern in form—big, open circles and ovals, glossy gold—the use of enamel instantly transports them. It’s the perfect blend of old-meets-new. 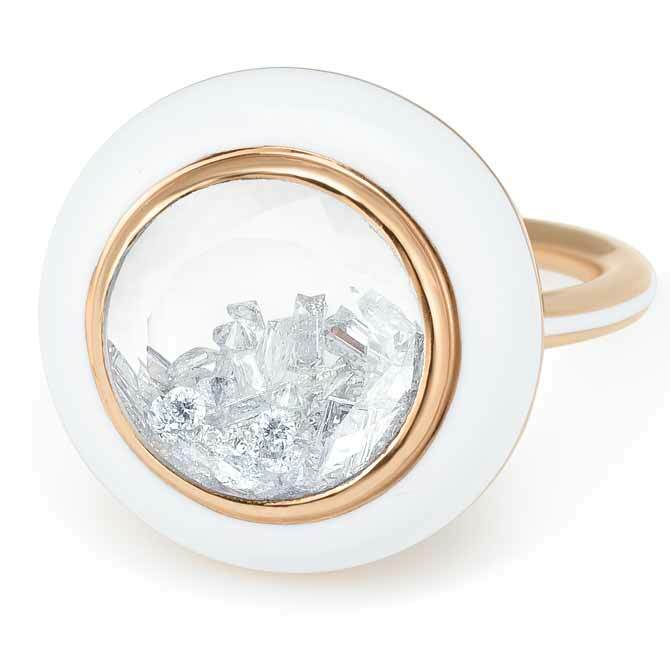 Each piece, handcrafted in Glik’s New York studio, features Glik’s Kaleidoscope shaker, which was originally inspired by the artist’s mother’s Lucite jewelry box. 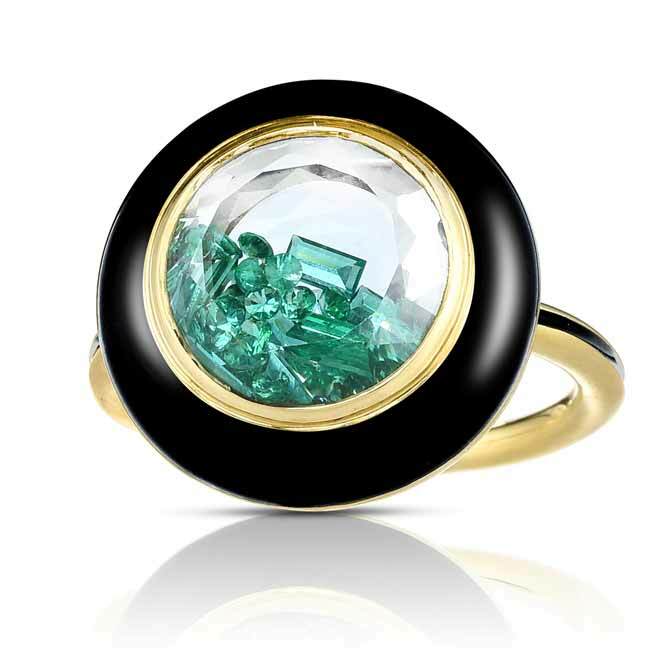 Its very of-the-moment enamel, in black and white, and the collection’s name was also influenced by a member of the designer’s family—his cat.